this plant, name unknown to me, was incredible. i would love to learn the name. 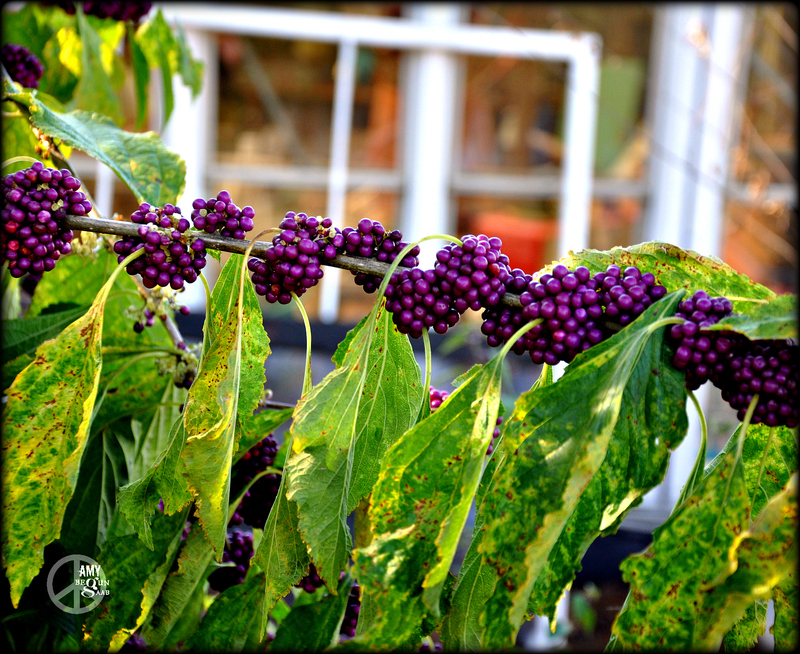 the purple berries out numbered the population of Birmingham. It stood between large bins of Koi for sale @ Myer’s Plants & Pottery. Looks like a combination of tobacco and grapes. Drink and smoke? Sometimes it is quicker that way. Besides it is a good way to start a conversation! it is much quicker to ask here, about anything. Especially plants, so many gardeners actually read & remember the latin names. Where i seldom remember the english. Thanks, John. Oh, do you know how to rid myself of mold–i mean, my plants. rid my garden of mold?